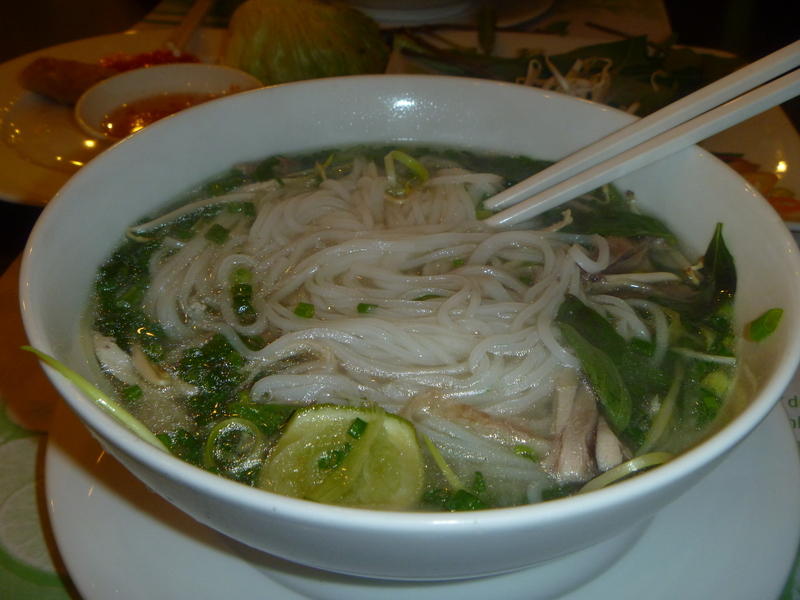 Oh, pho… how I adore and miss you, especially on this miserable and wet day. Maybe I need to go on a pho trail in Sydney and find the best? The last two weeks in Vietnam have been filled with marvelous sights and stories which I will share when I return to Sydney and am back at my own computer when I can include photos to enhance the stories. However, right now I am compelled to mention a restaurant we visited for lunch today called KOTO (Know One Teach One). This isn’t an ordinary restaurant though. KOTO is a non-profit restaurant and training center in Hanoi (They have also just opened one in Ho Chi Minh City also) who use a holistic approach in helping disadvantaged and street youth in Vietnam through hospitality training and combining this with English language training and life skills to provide the participants with a deeper experience by teaching them how to make key life decisions and become self-sufficient individuals. Every six months KOTO takes 25 off the streets or out of their impoverished situations to enter into their hospitality training program which starts off with health checks and vaccinations then over the 24 month training period are provided with accommodation, monthly allowance, uniforms, ongoing medical support as well as life skills training (so it’s not just teaching young people how to cook and work in a restaurant – much more than that). KOTO was started in 2000 by Australian expat, Jimmy Pham, who first started the program with a small sandwich shop but as we saw today has grown into a much larger project, which is inspiring to see. I appreciate any youth orientated program that looks beyond straight employment skills, like cooking or serving tables in this case. Providing a much more holistic experience by combining English language classes, financial planning and other life skills will not only make the young individuals more employable but more well-rounded meaning a brighter future for them and generations to come, if they one day have children and can continue the cycle of education. Most of the young people who enter the program are at high risk of getting involved in drugs, crime, prostitution and exploitation. Having this opportunity allows them to go down a different path by raising their confidence and providing the tools and resources required in creating a sustainable future, which is key in any successful business model. We all know the saying ‘Give a man a fish, he eats for a day. Teach a man to fish..’ And well, you know the rest. Aside from the excellent mission of KOTO, I really enjoyed my plate of Halong Bay crab ravioli and a special Mint Julep created especially by the trainees – creativity is also encouraged! We were touched by the young people we saw at the front of the house (and back!) who were smiling and seemed to be thoroughly enjoying themselves. Check out more information, facts and also about stories from some of the graduates of the program at www.koto.com.au. And of course, check out the restaurant if you find yourself in Hanoi! Delicious food, drinks and lovely service for a great cause! I have not visited a new country since 2008 and being someone who loves to explore, travel and has dreamt of seeing all sorts of pockets of the world, this has been a long three years. Next month my partner, Matt, and I will head to Vietnam for two weeks of amazing sights and culture, I’m certain. One part of this trip will be special as we’re going on a site visit with Room to Read, who I work for. Room to Read is a global organization that works with local governments and NGOs in Asia and Africa to establish literacy and girls’ education programs. I have been with Room to Read for a year and was involved as a Sydney chapter volunteer before that for about two years. There has always been a piece missing from the puzzle though and that was actually seeing some of the work Room to Read has done. I don’t have all of the details at this time but know the site visit will involve a bit of travel out to a rural part of Vietnam. Because of the time it takes, we’re staying overnight nearby the project which in itself will be a unique and valuable experience. I’ve been told over and over by others who have been fortunate enough to see Room to Read’s work that it is remarkable to see how the work we do day in and day out, translates to real solutions in the communities we work in. After we have had our Room to Read experience, it looks like we’ll embark north, towards Hanoi which will serve as a hub for hopefully some adventures in Sapa and Halong Bay. Nothing is set in stone but much of the fun in planning a trip is to explore the possibilities but leave room for spontaneity!